Our Small Islands, Our Treasured Biodiversity—With the three core principles of “Environment” ”Peace”and “Human Rights”, we strive to protect and conserve Okinawa’s biodiversity, and to contribute to the implementation of the CBD at global level. Okinawa is the southernmost prefecture of Japan, consisting of about 160 small islands. Located in the only subtropical oceanic climate zone of Japan, these islands, rich and unique in biodiversity, are habitat for a number of rare endemic species. The Okinawa Region Working Group addresses the issues of conservation and sustainable use of biodiversity in Okinawa with the core principles of “Environment”, “Peace”, and “Human Rights”. These core principles have been derived from Okinawa’s experience of “Battle of Okinawa”, “US military occupation”, “Okinawa’s reversion to Japan”, and “development boom”. Our approach to biodiversity is based upon the understanding that “Environment”, ”Peace”, and “Human Rights” are closely linked. The very nature of island ecosystem makes Okinawa’s biodiversity fragile and vulnerable, especially to the impact of human activities. Besides climate change and intrusion of alien species, two other major causes for the loss and degradation of biodiversity in Okinawa are 1) the presence and operation of US military bases and facilities: 2) government subsidized ill-advised development projects in return for Okinawa’s bearing of US bases. The Battle of Okinawa during World War II destroyed thousands of lives of Okinawan people and the environment which their livelihoods depended upon. In the 50s and 60s, the US military occupational government deprived many Okinawan people of their land and converted the land into US military bases. Since then, through soil contamination, mountain fires and many other forms, the US military training and operation have degraded and continue to degrade the environment and biodiversity of Okinawa. At present, two new military base construction plans are underway to further assault the environment and biodiversity of Okinawa: One plan is to construct a massive US military base in Henoko and Oura Bay, critical habitat of the endangered Okinawa dugong and rare blue coral reefs; the other is to construct US helipads in the subtropical forests of Yanbaru, where a large number of endemic animals and plants including endangered Yanbaru rail still survive. Meanwhile, a large number of public works projects, highly subsidized by the Japanese government, have been undertaken since the reversion of Okinawa from US to Japan in 1972. These “development projects” are considered as a form of compensation for the deprived land and deprived economic opportunity by the presence of US military bases. The implementation of development projects often lacked proper environmental considerations and it was done according to the “mainland standard” for environmental considerations, which are not necessarily suitable for Okinawa’s subtropical and island environment. As a result, the coastlines of many islands have been severely altered by reclamation projects and a substantial amount of coral reefs has been lost. At present, the Okinawa prefectural government is carrying out “forest roads” construction and clear-cutting in Yanbaru forests, putting at risk the evergreen oak and the endangered Okinawa Rail. At the Awase tidal flat, often referred to as a “Cradle of Life”, the national and local governments have been pushing a reclamation project. The presence of US military bases and “ill-advised development projects” have deprived and continue to deprive Okinawa and its people of blessings from biodiversity: the natural environment and our cultural traditions which are closely linked to the environment. It is also important to emphasize that what underlies this situation is historical and structural discrimination by the Japanese and US governments against Okinawa and its people. Concerned citizens and NGOs have been addressing the issues of environment and biodiversity conservation in Okinawa. However, we often face difficulties and constrains due to the peculiar political situation in which Okinawa is placed. The Japan-US Status of Forces Agreement (SOFA) makes it very difficult for citizens to have access to information on environmental conditions on US bases in Okinawa. It also severely constrains our environment protection and conservation activities concerning US bases. Consequences of this peculiar situation are rather than disturbing. The Japanese government has filed a “slap lawsuit” against residents of the Takae community in the Yambaru area, who carried out sit-in protest to stop the above mentioned construction of US helipads to protect their live, livelihoods and the environment. The lawsuit by the Japanese government is extreme and infringes upon the human rights of the local people. Okinawa, a chain of small islands located in subtropical oceanic climate, is habitat for various kinds of endemic and sub-endemic species. Given the fragileness and vulnerability of island ecosystem, human activities in forests, rivers, and the sea impose synergic and cumulative impacts on island biodiversity, which could easily lead to biodiversity loss. As the discussions on “Island Biodiversity” at CBD COP 8 and COP 9 showed, the crisis of Okinawa’s biodiversity can be attributed to the fragileness and vulnerability of island ecosystem, especially to human activities. While the fragileness and vulnerability of islands can be addressed as issues of ecosystem, they should also be recognized as matters of geopolitics and political economy. This applies to both international and domestic contexts. Within countries or states, islands and island communities tend to be marginalized and subjected to the policies of their central governments. As their marginalization is institutionalized as part of larger social structure, these marginalized islands and island regions are often forced to accept undesirable or “Not In My Back Yard” facilities. In return, the central governments bring into them highly subsidized public works, many of which tend to be development projects without environmental considerations. It is in this vicious circle, the conservation of island biodiversity becomes difficult. The CBD addresses the issue of North and South at the global level, as seen in its “Preface” referring to “the needs of developing countries” and “Noting in this regard the special conditions of the least developed countries and small island states”. The CBD does not address however, to the extent it is necessary, domestic disparities between South and North within countires, developed or developing. We recommend the CBD to establish effective channels to project voices of islands within countires so that islands and island communities are not subjected to the “standards” of the “Center” or the “North. We also recommend the CBD to promote appropriate policies for islands and island communities within countries in the Programme of Work of Island Biodiversity and GLISP. We call on the United States of America to ratify the CBD. We also call on the CBD, Parties, and the United Nation Environment Programme to urge the United States of America to ratify the CBD. US Foreign Policy has tremendous impact all over the world and it has thus direct and indirect effects on the environment and biodiversity of other countries. In Okinawa, US foreign policy takes the form of the presence of US military bases, and these US military bases have negative impact on the environment and biodiversity of Okinawa through pollution, soil contamination, mountain fires, and other forms. Also, the lack of transparency in environmental policy and lack of mechanism for policy implementation involving US military bases makes it difficult to hold US military accountable for environmental problems caused by US military bases in Okinawa. unincorporated territories of the US, also suffer from the presence of US military bases on them. We thus call on the US to ratify the CBD. We also call on the CBD, Parties and the UNEP to urge the US to ratify the CBD. incorporate peace and human rights perspectives into the process of “mainstreaming biodiversity” stated in the Strategic Goal A of the Strategic Plan for the Post 2010 Period. While the CBD highlights peace and human rights as integrated parts of biodiversity conservation, it does not mean that each Party takes the same stance. The Japanese government did not incorporate the perspectives of peace and human rights into their Basic Act on Biodiversity and National Biodiversity Strategy, disregarding the spirits of the CBD. The lack of perspectives of peace and human rights in the Japanese government’s biodiversity policy has lead to unexpected consequences in Okinawa. The Japanese government has filed a “slap lawsuit” against residents of the Takae community, in Higashi Village, who engaged in sit-in protest against the construction of US military helipads in their community to protect their life, livelihoods, and the environment. We consider that the residents were exercising their human rights and the Japanese government’s action infringes upon the human rights of the residents. Thus, we recommend that Parties to the CBD, especially the Japanese government as the Chair of COP 10, integrate the perspectives of peace and human rights into their environmental and biodiversity policies and measures. -make the conservation of “untouched nature” as its first principle, and the establishment of effective policy to promote the conservation of “untouched nature” as the first priority in its next “National Biodiversity Strategy for Post 2010”. Although the First National Biodiversity Strategy was established in 1995, followed by the second and third national strategies, the Japanese government has not been able to halt or slow down its biodiversity loss. These strategies are themselves inadequate or they have not been implemented. In the National Biodiversity Strategy 2010, the most recent version of national strategy for biodiversity conservation, the Japanese government fails to provide a thorough review on underlying causes of biodiversity loss. It also fails to identify key human activities contributing to biodiversity loss. Thus, we urge the Japanese government to make the identification and halting of key human activities contributing to biodiversity loss as its first priority in its next National Biodiversity Strategy for Post 2010. In Okinawa, endangered and rare species such as Iriomote wild cats and Okinawa dugongs are threatened and are at risk of extinction; urgent action is needed. We thus call on the Japanese government to take urgent and effective action, including the implementation and application of existing laws such as Endangered Species Act to these endangered species. We also call on the Japanese government to establish legislation and measures, which enable effective conservation of these endangered species, in association with the next National Biodiversity Strategy for Post 2010.
the significance of “diversity of places”, which support various kinds of species, and to make the conservation of “untouched nature” as its first principle, without resorting to mitigation measures such as transplanting of plants and animals, in its drawing up of the National Biodiversity Strategy for Post 2010. We also urge the Japanese government to acknowledge that its current Environment Impact Assessment (EIA) does not function effectively because it gives the foremost priority to the execution of projects, not to the conservation of the environment. We further urge the Japanese government to incorporate biodiversity perspectives into the EIA system by referring to the CBD’s “Guidelines for incorporating biodiversity-related issues into environmental impact assessment legislation and/or process and in strategic environmental assessment” and “Akwé: Kon Voluntary Guidelines”. We urge the Japanese government, as the Chair of COP10, to respond to the international community’s calls, namely the IUCN’s Recommendations and Resolution and UN Human Rights Committee’s Recommendations on Indigenous Peoples’ Rights. The Japanese government has not implemented the IUCN’s Recommendations (2.72 and 3.114) and Resolution (4.022) regarding Conservation of Dugong, Okinawa Woodpecker, and Okinawa Rail. Nor has it responded to the recommendations by the UN Human Rights Committee and the Committee on the Elimination of Racial Discrimination, which call on the Japanese government to recognized Ryukyu/Okinawan people as an indigenous people. The Japanese government’s continuing disregard for these international calls gives a negative message to the world that Japan is driving biodiversity loss and ignoring indigenous peoples’ rights, which the CBD regards important. We urge the Japanese government, as the Chair of COP10, to respond to these international community’s calls without further delay. We call on the Japanese government, as the Chair of COP10, to provide at COP 10 explanations for the inconsistencies between its policies on marine and coastal biodiversity and its actions undertaken in Okinawa. To prevent negative impacts of overfishing and development projects on marine and coastal eco-systems and to enhance the sustainable use of oceanic resources, the Japanese government now tries to establish a “Marine Biodiversity Conservation Strategy” scheduled to be issued in March 2011. The Japanese government is also expected to show its leadership as the Chair of COP10, when Agenda “Marine and Coastal Biodiversity” is taken up as one of the issues for in-depth consideration at COP10. Meanwhile, it should be pointed out that the Japanese government’s plans actions in Okinawa are inconsistent with its national policies and its expected role as the Chair at COP10. Target 10: By , to have minimized the multiple pressures on coral reefs, and other vulnerable ecosystems impacted by climate change or ocean acidification, so as to maintain their integrity and functioning”. The Japanese government is proceeding with the new US base construction plan in Henoko and Oura Bay in Okinawa Island. This area presents a vulnerable ecosystem while being one of the most biodiversity rich areas in Okinawa. The process of Environment Impact Assessment (EIA) for the base construction plan is now almost complete although the process has ignored the IUCN’s Recommendations and Resolution (stated in Recommendation V above). Moreover, the Japanese government and local governments are carrying out the Awase Tidal Flat Reclamation Project. The Awase Tidal Flat, expanding coastal wetland off the eastern coast in Okinawa City, has rich biodiversity and meets the criteria for Ramsar site under the Ramsar Wetland Convention. We strongly oppose the Japanese government’s policies and actions which are destroying the biodiversity rich coastal and marine ecosystem and environments of Okinawa. The government should be held accountable for these inconsistencies between its national policies and polices and actions taken in Okinawa. We hope the Japanese government will stop these projects and prove that Japan is a country committed to the principles of biodiversity conservation. Otherwise, the Japanese government will be regarded as a country with “double standard” on biodiversity policy and action, and as the Chair of COP10 in name only. We recommend that Japanese government should recognize that only its sincere and consistent efforts to conserve biodiversity in Japan can contribute to conservation at the global level and to the achievement of CBD’s “Goals and Targets of the Strategic Plan”. -ensure citizens’ participation and dialogue with local authorities in establishing regional biodiversity strategy. As seen in COP9 decision IX/28 “Promoting engagement of cities and local authorities”, local action such as establishing a regional biodiversity strategy is needed for biodiversity conservation. In Japan, however, only 10 local authorities have established regional strategies, because the Basic Act on Biodiversity does not legally obligate local authorities to establish regional biological strategy, and because the Japanese government does not necessarily provide financial support for local authorities to establish regional biodiversity strategy. The Okinawa Region Working Group is making efforts to work with the Okinawa prefectural government in establishing its Okinawa Regional Strategic Plan. We however see a large gap between citizens and NGOs who are eager to participate in the process and the prefectural government which seems rather reluctant to the idea of civil participation for various reasons. We find it difficult to bridge the gap between the two sides. We recommend the Japanese government to amend the Basic Act on Biodiversity so that the establishment of regional biodiversity strategy is legally required of local authorities and the participation of citizens in the process of designing the strategy is legally ensured. 1) For biodiversity conservation in Okinawa, thorough research on the status and trends of local biodiversity is needed. We recommend the Okinawa prefectural government to provide, within the framework of regional biodiversity strategy, a support system and mechanism, including institutional and financial support, for sustained research activity. 2) Local people are key conservationists in their communities and they need to learn more about their local biodiversity. We recommend the Okinawa prefectural government to establish, within the framework of regional biodiversity strategy, a monitoring system of biodiversity with involvement of local communities. Such a monitoring system can be a key instrument for raising awareness of biodiversity among local communities as well as for educating the value of “diversity of places”, which supports various kinds of species. 3) We also recommend the Okinawa prefectural government to develop a feedback system in which outcomes of monitoring, as well as local people’s knowledge and experience, are incorporated into the prefectural government’s environmental and biodiversity polices. We recommend the Okinawa prefectural government to ensure that research, monitoring and assessment activities should not be easily outsourced to “consulting companies” and that any decision-making process, regarding policy and activity, should involve dialogue with and participation of citizens. 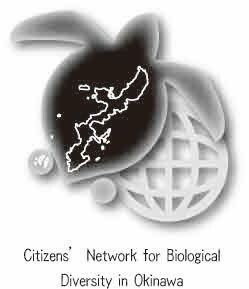 4) We recommend the Okinawa prefectural government to establish a legally binding biodiversity strategy, which promotes laws and systems (such as protected areas and local EIA), more suitable and more appropriate to the vulnerable island ecosystem than other mainland-centered biodiversity strategies. .
-actively take part in various activities of and engage with the CBD. While the CBD is an international body and CBD COP10 is a government-level meeting, we encourage citizens and communities to realize that we are the ones who live closest to the local biodiversity, thereby, are most important agents in realization of objectives of the CBD. Such views and attitudes shown by the Japanese government　would deprive citizens and communities of opportunity to share experience and exchange views with other citizens and communities in pursuit of biodiversity conservation. We believe that State/Government should not limit citizens and local communities in their efforts to understand, interpret, and engage with the CBD. We also believe that State/Government should not create a central-marginal relationship in implementing the CBD’s policy. We recommend citizens and communities to recognize that, by pursuing understanding and interpretation of the CBD in their own ways, citizens and communities play an positive and important role not only in realization of objectives of the CBD, but also in formation of future objectives of the CBD.